Thanks to its elevated frame, iPV Trackers can not only solve the cleansing and shading problems plaguing solar panels built above fishing ponds, but also increase the catch yield of those ponds, points out Summer Luo, the chairman of BIG SUN Group. With the iPV Tracker, Taiwan’s recently proposed “Aqua-solar measures ” will no longer pose an environmental threat to fish farmers. As part of the effort to materialize Taiwan’s "nuclear-free homeland' vision by 2025, the government has been pushing for the development of floating PV panels in recent years. 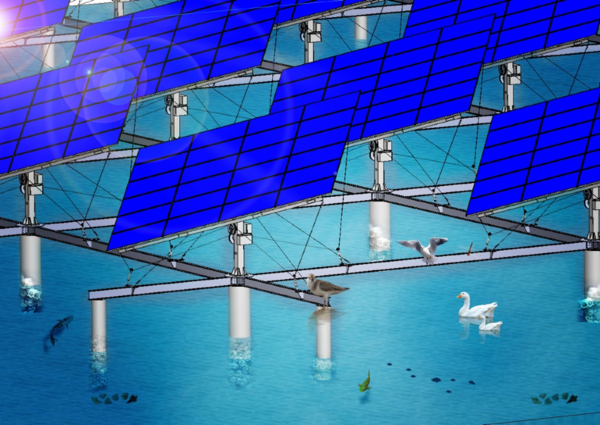 Aside from programs like the recent Aqua-solar development plan which calls for the integration of fish farming and PV technology, a recent farming-related energy plan from the Fisheries Research Institute, COA, has also been proposed to encourage the construction of PV panel systems above the hard-clam ponds in Yunlin, Changhua, Chiayi, and Tainan. As Aqua-solar systems have yet to mature, many fish farmers in Taiwan are still concerned about their impacts and side effects. 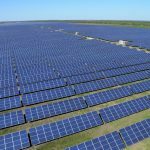 For the farmers, the requirement to regularly clean the water-based PV panels poses the biggest threat, as it could potentially pollute the pond’s overall water quality and, in the worst case, lead to heavy-metal pollution. This will bring irreparable damages to the pond's environment. Meanwhile, with its heavy shielding of sunlight, the PV panels’ installation is also likely to negatively impact the growth of algea, and in turn put the clams’ survival at risk. Unlike traditional fixed-type PV panels which need to be cleaned regularly to remove the dust accumulated on the frames’ edges, an iPV Tracker does not need to be cleaned at all, as its solar panels can rotate over 15 degrees, which facilitates the removal of dust by wind and rain, according to Luo. Should a bifacial module (the front side for reception of sunshine and the reverse for reception of reflected light from the pond) be employed, Luo estimates that the power output would be boosted by around 50-60% at least, allowing for an even higher frame, which can potentially cut the sheltered space to 35%, lower than the 40% mandated by policy. 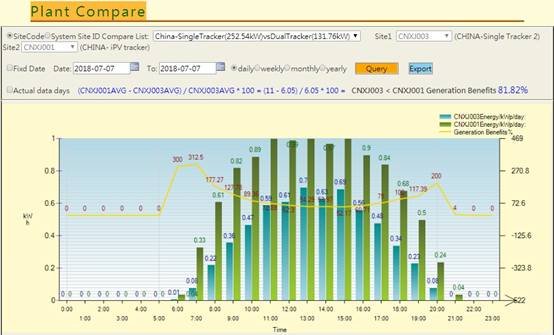 BIG SUN’s iPV Tracker can also bring about higher catch yield for fishing ponds. In the case of hard-clam ponds, for instance, pipes can be installed on the frame for channeling algae-containing water pumped from another pond for algae cultivation to various spots of the hard-clam pond evenly, facilitating the growing of fat hard clam with even quality. In addition, the iPV Tracker can shelter hard clams from the scorching sun during summer and be furnished with heating device to protect hard clam from chilling damage during winter. No matter where it is installed, be it on idled land, farmland, or fishing pond, an iPV Tracker can invariably allow for the effective utilization of the land space below, resulting in triple wins for land owners, PV power operators, and farmers/fish farmers. In addition to boosting catch yields, the iPV Tracker can also increase power output. To illustrate this, Luo cited the example of a 132 KW power station in Hami City of China's Xinjiang, which, furnished with an iPV Tracker, generated up to 11 kWp 1 KW system on July 7 this year. This is approximately 81% higher than the maximum 6.05 kWp generated by horizontal single-axis solar-tracking systems in the neighborhood. The high output of 11 kWpis also credited to the abundant sunshine of Xinjiang, which enables PV power stations to run at full capacity, with the average total output being 73% higher than its counterpart in Taiwan. An adverse environmental condition in Xinjiang is its frequent sandstorms, which not only blocks sunshine but also damages PV power systems. The sandstorm season is followed by winter, when temperatures often drops below 0℃, halting the operation and maintenance of PV power devices. Inaugurated in 2015, the iPV Tracker in Hami generated 5.96 kWp of power daily on average this year, which is around 150% more than the 2.3 kWp of horizontal single-axis systems, and a far cry from the difference in 2015, when the former generated around 5.43 kWp daily, 35.6% more than the latter's 4 kWp. Unlike the power output of traditional systems which has been dropping year by year due to the effect of the sandstorm, the output of iPV Tracker has been rising continuously, according to Luo, who notes that the company has not received any complaints from customers during the warranty period so far. Encouraged by the success in Xinjing and Japan, Luo says that the BIG SUN Group has set its sights on the Middle Eastern market. The BIG SUN Group is looking forward to working with potential partners in this region, according to Luo.